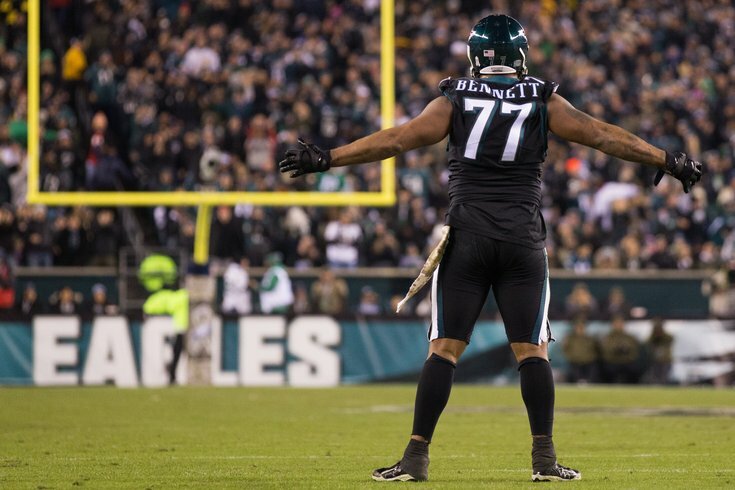 Michael Bennett was listed as questionable on the injury report, but he will play. The Philadelphia Eagles have dealt with significant injuries all season long, and Sunday will be no different. The Cowboys, meanwhile, have had good injury luck this season. • CB Avonte Maddox: Maddox was targeting Dallas as his return date, but he's not yet ready to play. The Eagles remain paper thin at cornerback. • DT Timmy Jernigan (back): Jernigan played 20 snaps against the Giants two weeks ago, but he had some back spasms flare up on him prior to the Eagles' win over the Redskins Monday night. Despite dressing, he ended up watching the game from the sidelines. He won't dress against Dallas. • CB Chandon Sullivan: I guess DeVante Bausby is better than Sullivan in the Eagles' eyes. That's all I can offer here. • 2008 (Penn State) - Torn ACL. Missed the entire season. • 2009 (Penn State) - Sprained knee. Missed 3 games. • 2010 (Dallas) - Strained hamstring. Missed 2 games. • 2011 (Dallas) - Dislocated wrist. Missed 1 game. • 2012 (Dallas) - Toe. IR. Missed 10 games. • 2013 (Dallas) - Hamstring. Missed 5 games, including Week 17 finale vs Eagles. • 2014 (Dallas) - Torn ACL. Missed the entire season. • 2015 (Dallas) - Concussion and hamstring. Missed 2 games. • 2016 (Dallas) - No injuries. Missed a meaningless Week 17 with No. 1 seed wrapped up. • 2017 (Dallas) - Hamstring. Missed 5 games. • 2018 (Dallas) - Hamstring. Has already missed 7 games this season. Leighton Vander Esch and Jaylon Smith have both been outstanding with Lee out. • DT David Irving (ankle): Irving is a talented interior pass rusher who has missed all but two games this season. He has 4 tackles and one sack. In 2017, in just 8 games, Irving had 7 sacks. • WR Tavon Austin (groin): Austin has had one big moment for the Cowboys this season, when he caught a 64-yard touchdown Week 2 against the Giants. He has otherwise been quiet, catching just 7 passes for 130 yards and 2 TDs. This season, as the starting TE, he has 26 catches for 242 yards and 1 TD. • DE Taco Charlton: Charlton was the Cowboys' first-round pick in 2017. He's a healthy scratch, which is interesting. • QB Mike White: Third QB. • LB Chris Covington: I know nothing about this person. • C Travis Frederick (IR): Frederick is out indefinitely with a rare disease. He was a first round pick of the Cowboys in the 2013 NFL Draft. In five years in the league, he has three All-Pro nods (one first-team, two second-team), and four Pro Bowl appearances. He was already out anyway with a foot injury.